Whether it’s too much sun, the aging process, or stretch marks, your skin can suffer the consequences. At Adult & Pediatric Ear, Nose & Throat in Kalamazoo, Michigan, an expert team of physicians uses Cynosure ICON lasers to help patients achieve their ideal appearance. Everything from tattoo removal to body contouring can be accomplished with cosmetic laser treatments, leaving you happy and comfortable in your skin once again. What is cosmetic laser treatment? Cosmetic laser treatments have been used for years to help patients achieve younger, smoother, and more vibrant looking skin. At Adult & Pediatric Ear, Nose & Throat, your physician uses Cynosure ICONTM lasers, which utilize fractional laser technology to deliver pulses of energy to the skin. This type of treatment is a simple, noninvasive way to reverse the signs of aging, increase collagen production, and treat skin imperfections. As a nonsurgical procedure, the ICON laser can smooth out wrinkles, improve the texture and tone of your face and body, remove hair, and minimize the appearance of leg veins. The result is a more youthful, radiant you. What happens in a cosmetic laser treatment? A cosmetic laser treatment lasts about one to two hours, depending on the nature of your problem and how many areas of the body receive treatment. After your skin is prepared and cleaned, your physician moves a handheld laser device over the treatment area, sometimes passing over a section multiple times to get the best results. The ICON laser treatment is usually painless, but you might experience a slight pinching sensation, warmth on the skin, or tingling that subsides shortly after treatment. After your procedure is complete, you might have mild or moderate swelling or redness, which usually subsides within a few days. Your skin might also become dry and flaky for a few days after your treatment. You can usually resume normal activities immediately after treatment, but for some treatments, your physician might recommend a period of rest or a specific follow-up plan. What are the benefits of cosmetic laser treatments? Cosmetic laser treatments can offer incredible results for nearly all patients, regardless of their age or skin type. They are a safe and effective alternative to more invasive cosmetic procedures, and they offer quick recovery time with virtually no pain. The other benefit of cosmetic lasers is that they deliver results quickly. You may only need a few sessions to see dramatic results. 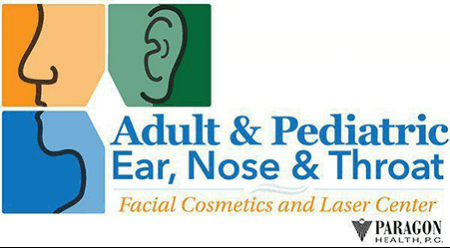 To learn more about laser cosmetic treatments at Adult & Pediatric Ear, Nose & Throat, book a consultation using the easy online scheduler.